Henz Villaraiz gives an update on the status of the recovery of his former teleserye co-star Markus Peterson. 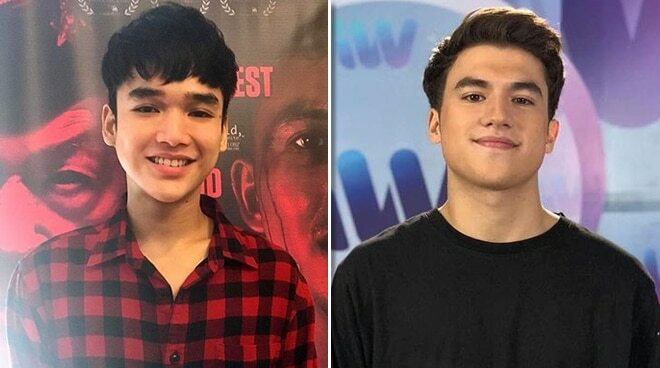 After his Sana Dalawa ang Puso co-star Markus Paterson’s motorcycle accident last month, Henz Villaraiz gave an update on his good friend. “He’s actually been discharged from the hospital. He’s walking with crutches but he’s doing fine. It’s a fast recovery. He’s recovering now and it’s going to take a long time. It’s kind of a severe injury that he took on his right leg,” he shared during the ML (Martial Law) movie presscon held last November 5 in Quezon City. Henz said he has visited Markus twice, before and after he had surgery on his leg. He went with Inigo Pascual and Jameson Blake. “When we saw him, he told us, ‘I’m going to live guys! Buhay pa ako. (laughs). It was normal. We were just joking around because we wanted to keep his spirits up, trying to keep the situation light. We didn’t want to be like, ‘Oh my God dude, we feel so sorry for you.’ We didn’t want to do that to him. We wanted to uplift his spirit and we just joked around. Not a dull moment,” he recalled. When he first found out that Markus got into an accident, Henz said he was just thankful nothing tragic happened to his friend. “I would have cried definitely. Anyone who knew him would have felt that. I was shocked. Because I know being in a motorcycle, there’s always going to be a risk. I know he loves motorcycles like he always says, ‘I’m going to buy this motorcycle dude.’ I know there’s a risk every time you ride a motorcycle,” he told PUSH. The ML actor said he is not sure whether Markus will be able to go back to work right now with his current injury. “He tells me he has some movies coming out but I asked him how that was going to work when he told me they were going to shoot this November and I think he’s supposed to do some stunts. I told him, ‘Are you sure you’re going to do some stunts because you have a broken bone,’” he shared.